What is a fake artwork? This is seldom asked in aesthetics even though judging an artwork as excellent or original implicitly posits criteria for fraudulent or dubious artworks as well. 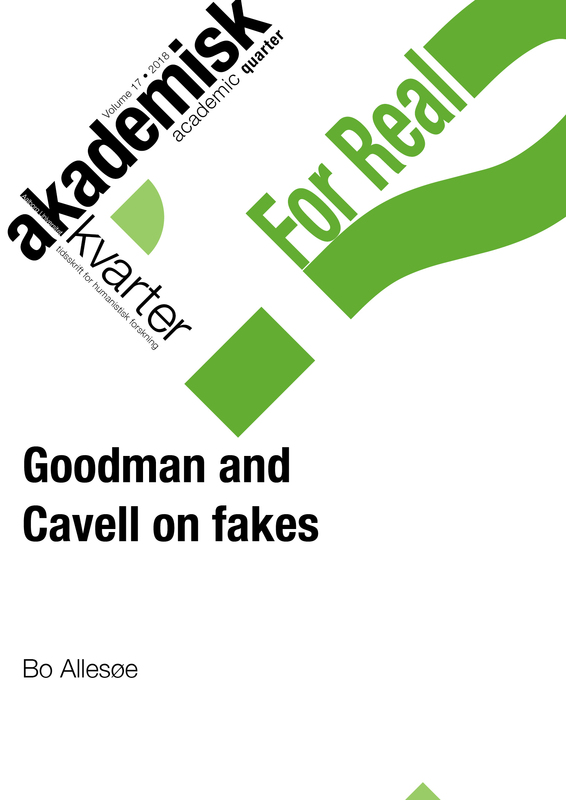 This article presents Nelson Goodman’s proposal of how we are to understand fakes. It will criticize his predominantly cognitive approach for failure of incorporating a sense of aesthetic value, thereby leaving the possibility of artworks which are fakes but nevertheless originals unexplained. Instead Stanley Cavell’s writings on aesthetic judgment are explored establishing a better frame for understanding these artworks.